The fennel is grown by smallholder farmers in central Egypt, in an oasis west of the Nile where ancient canal systems divert the Nile's waters to irrigate the fields. 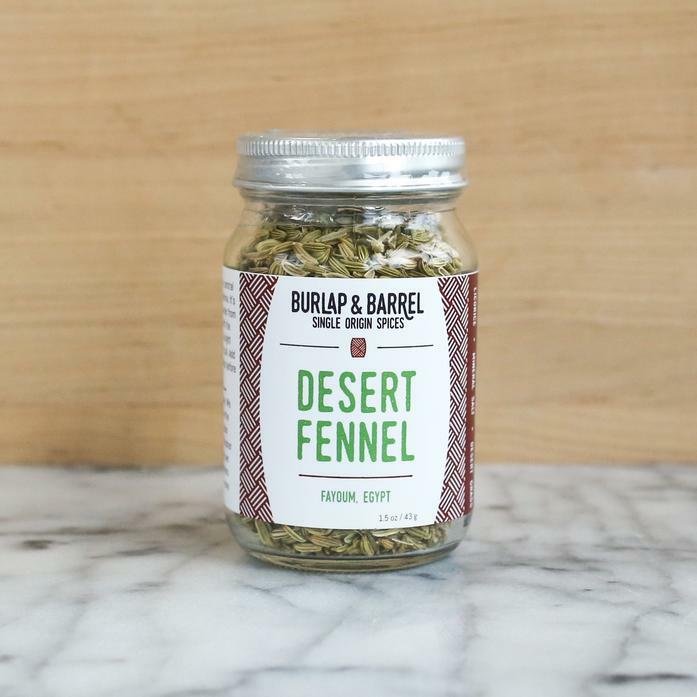 The fennel has a unique flavor, slightly salty and mineral because of the sandy desert soil, with a sharp vegetal sweetness at the finish. Each order contains one 1.5 oz jar.